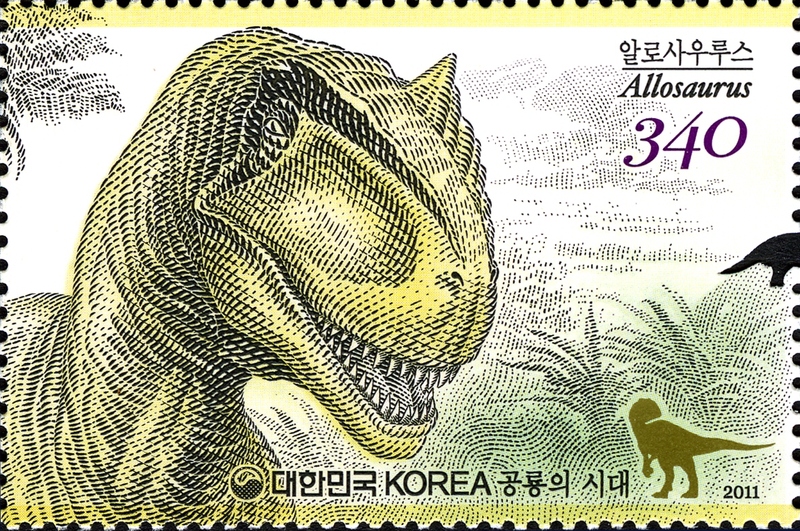 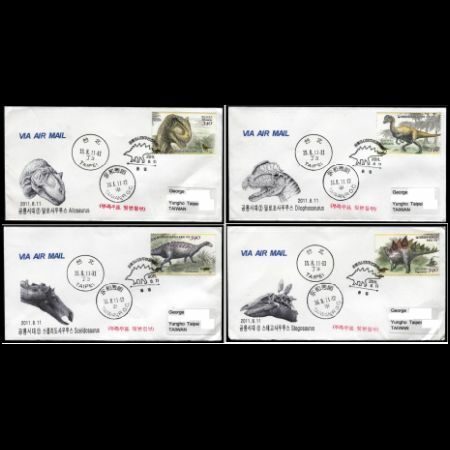 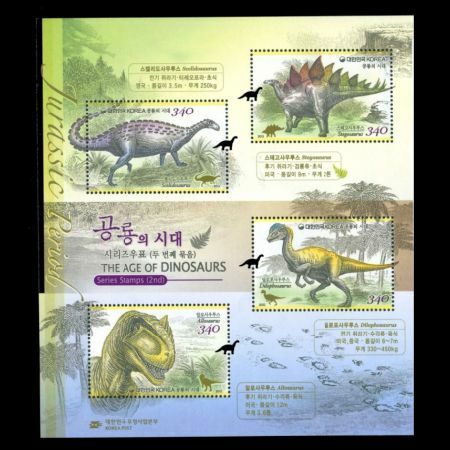 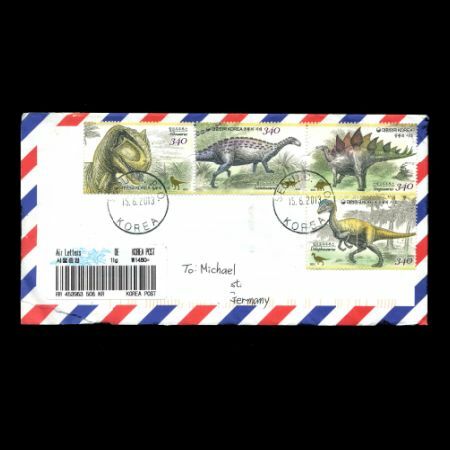 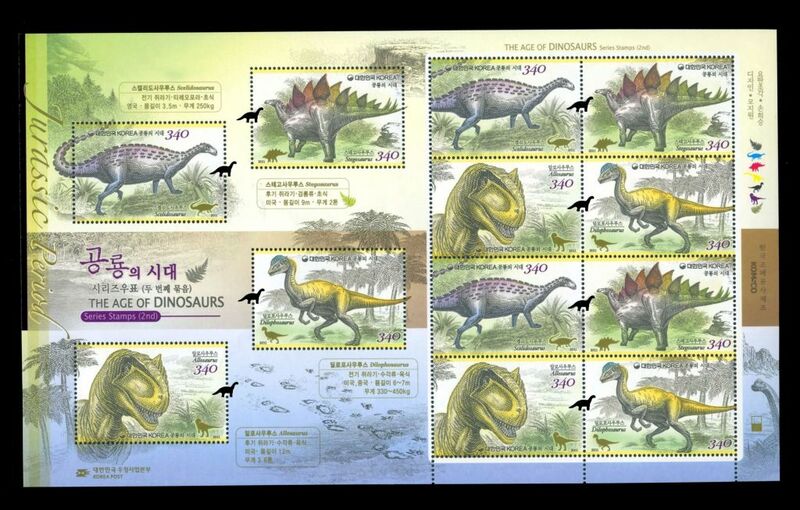 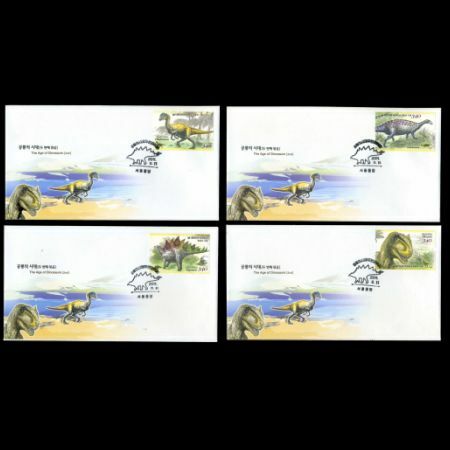 Korea South 2011 "The Age of Dinosaurs (2nd)"
"The Age of Dinosaurs (1st)" issued in 2010, Jurassic dinosaurs of the Mesozoic Era are introduced.As the second installment of the "Age of Dinosaurs Series," Jurassic Period of the Mesozoic Era, which spanned about 50 million years from about 199.6 million years ago to 145.5 million years ago, refers to the period that followed the Triassic Period. 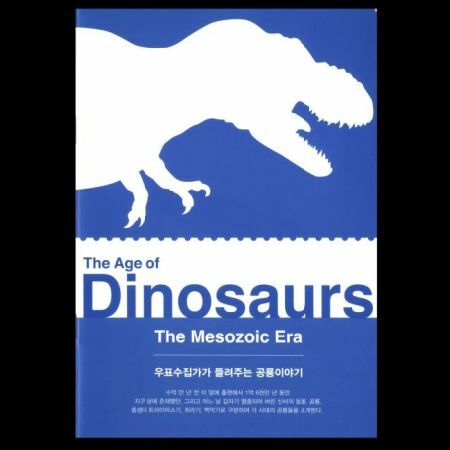 In this period, giant reptiles such as dinosaurs thrived on the land, and ammonites, in the sea. 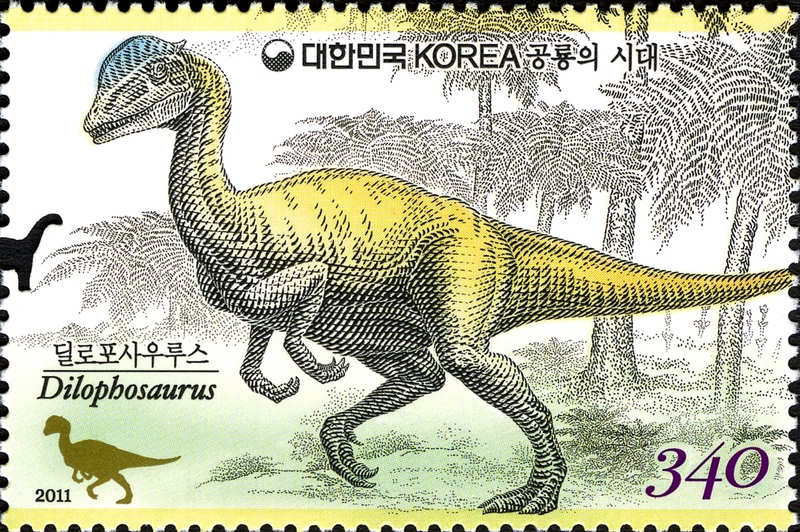 In the latter part of the Jurassic Period, birds appeared for the first time, with gymnosperms like cycads and Ginkgo thriving. 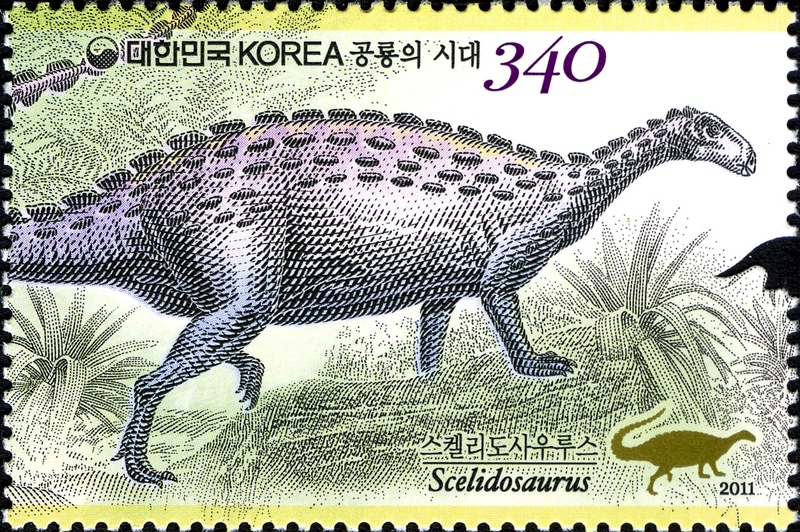 As an herbivorous dinosaur during the Late Jurassic Period spikes on its tails. 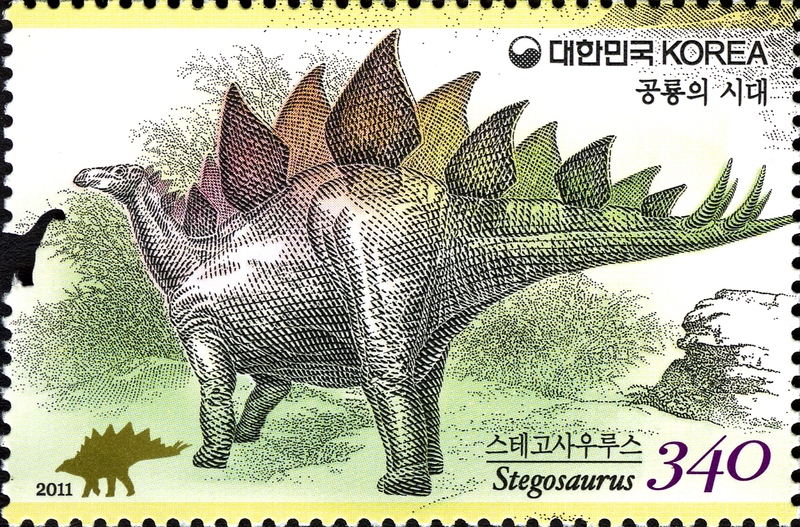 Compared to its large body, its head was relatively very small, with its long hind legs and short, crooked front legs making its back crook forward. 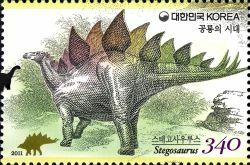 With its large body, it moved very sluggishly. 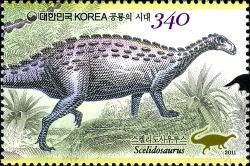 It is 9 m in height and 2 tons in weight. 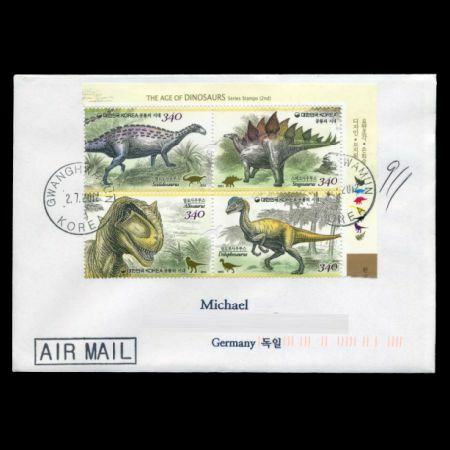 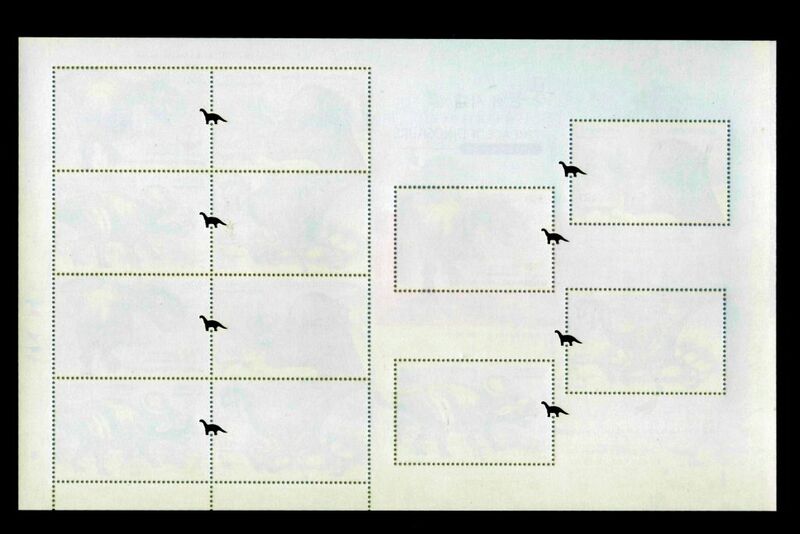 It was discovered in the western part of the U.S.A.
As a carnivorous dinosaur during the Early Jurassic Period, it had two crests split in the shape of a V on top of its head. 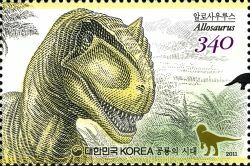 Its razor-sharp teeth, long and strong legs, and long claws were perfect for hunting. 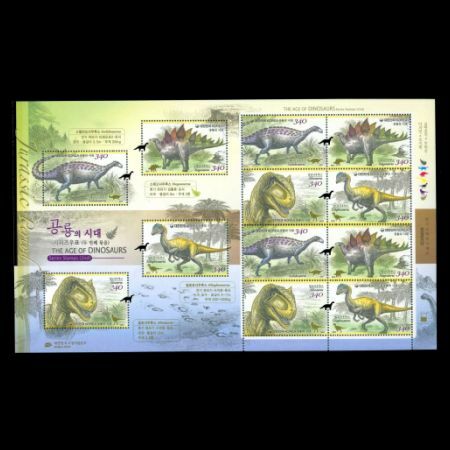 Its first toe on its hand was shaped in the way to hold a prey, functioning like a thumb. 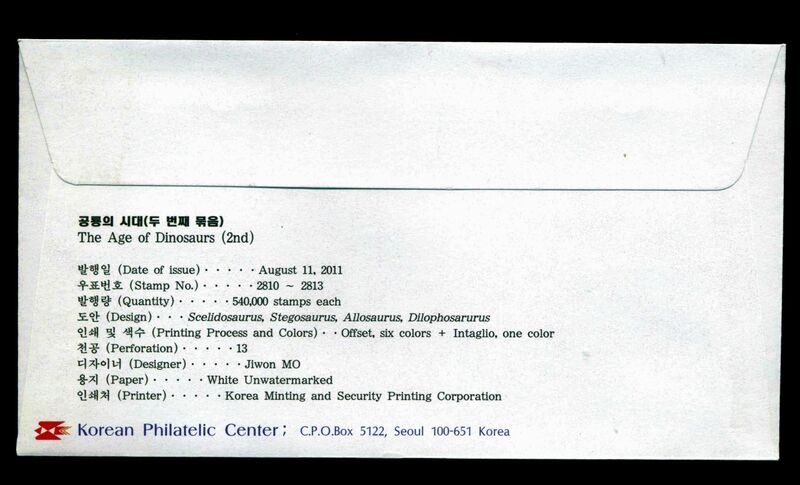 It was 330~450 kg in weight, and 6~7 m in height. It was first reported in the U.S., with the possibility of having been discovered in the southern part of China being raised.